Search Roseville 95678 real estate to find a home near the revitalized downtown area. Vernon Street Town Square is one of the beneficiaries of the the revitalization project. Roseville 95678 homes put you in the midst of the active downtown life. Vernon Street Town Square is the host for many Roseville community events, including evening concerts on the square, story time for children, and summer Friday flicks for the whole family. Located less than 20 miles from Sacramento, a Roseville 95678 home is a great option if you work in the capital. When you get home, there are lots of things to do to unwind. Diamond Oaks Golf Course is one of the premier courses in the Sacramento area. After golf, have a snack or a meal at Legends & Heroes Grill. 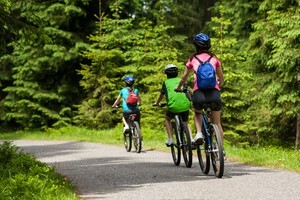 Consider Roseville 95678 real estate if you enjoy cycling or want to start commuting by bike. Roseville maintains many recreational bike paths. The city also encourages biking to work and bike safety with its annual Bikefest. Residents of every Roseville 95678 home are invited for helmet fittings, prizes, and lots of fun. Roseville 95678 real estate is a great idea. Home values are stable, making it a great long term investment. Whether you’re raising a family or happily child-free, Roseville has activities and resources to suit every lifestyle.